If you are under a criminal investigation for murder or attempted murder in Ohio, you will need to retain the services of a competent criminal defense attorney immediately. This is equally true if you have already been formally charged with murder, attempted murder, aggravated murder, manslaughter, or reckless or negligent homicide. All of these charges require the dedicated services of an attorney who will fight for your rights and fight the charges against you. We strongly advise you to consult with an Ohio murder/attempted murder lawyer at our firm as soon as possible. Our attorneys concentrate their practice on criminal defense cases and are fully prepared to represent you at any stage of the criminal legal process, from the investigative phase through trial by jury. Murder Charges in Ohio Being accused of murder or attempted murder is one of the most serious charges you can face. The consequences may be dire, including lengthy prison sentences, life in prison, or even the death penalty. In the face of such a serious situation, you need to exercise your right to an attorney who can help you understand your legal rights, ensure that you are treated fairly by law enforcement and the courts, and who can investigate your case and develop an effective strategy for your defense. At our firm will work to reconstruct what happened in the incident which led to the charges, will review forensic and other evidence, such as DNA analysis, witness and police reports, and any other evidence which is pertinent to your defense. 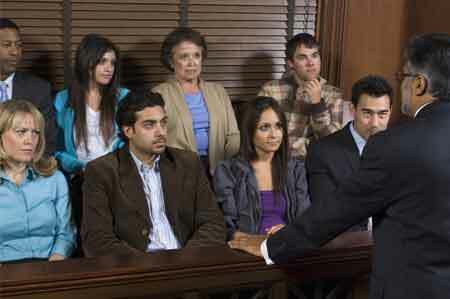 Our firm can evaluate the evidence for relevance and will work to expose weaknesses and flaws in the case against you.